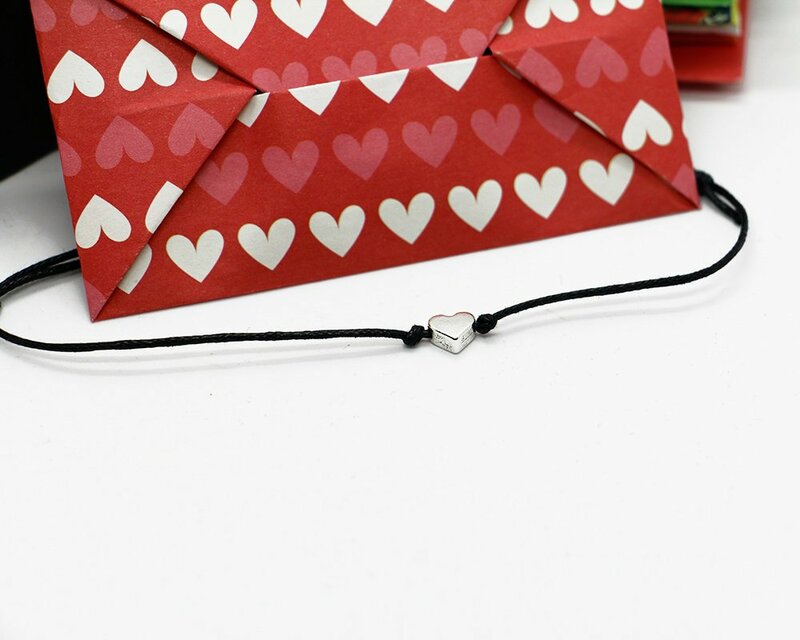 Tiny silver heart adjustable cord anklet gift wrapped in a hand folded origami envelope. 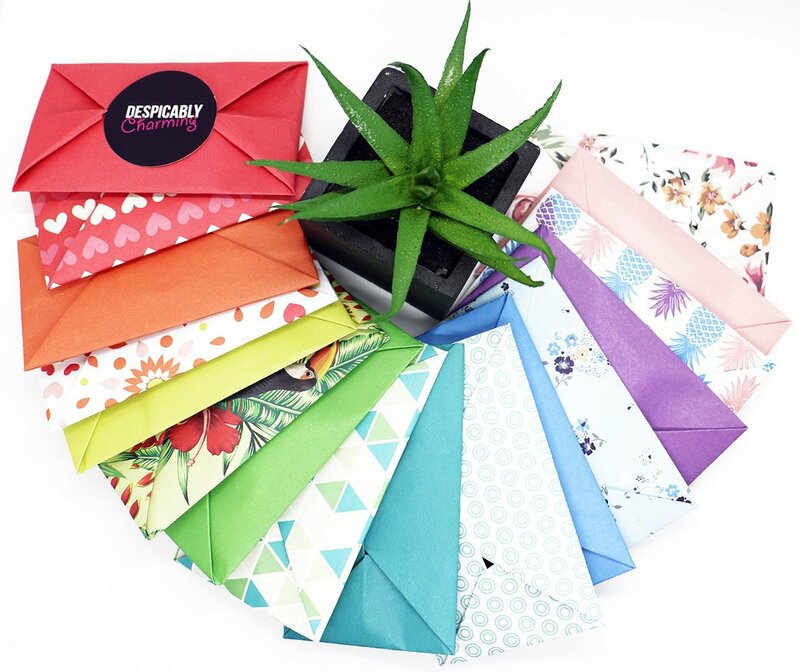 These make great party favours or friendship gifts and are available in 20 different colours. This handmade anklet is the perfect accessory for the upcoming spring/summer season as a treat for yourself or a loved one. – This anklet features a delicate silver plated heart charm. 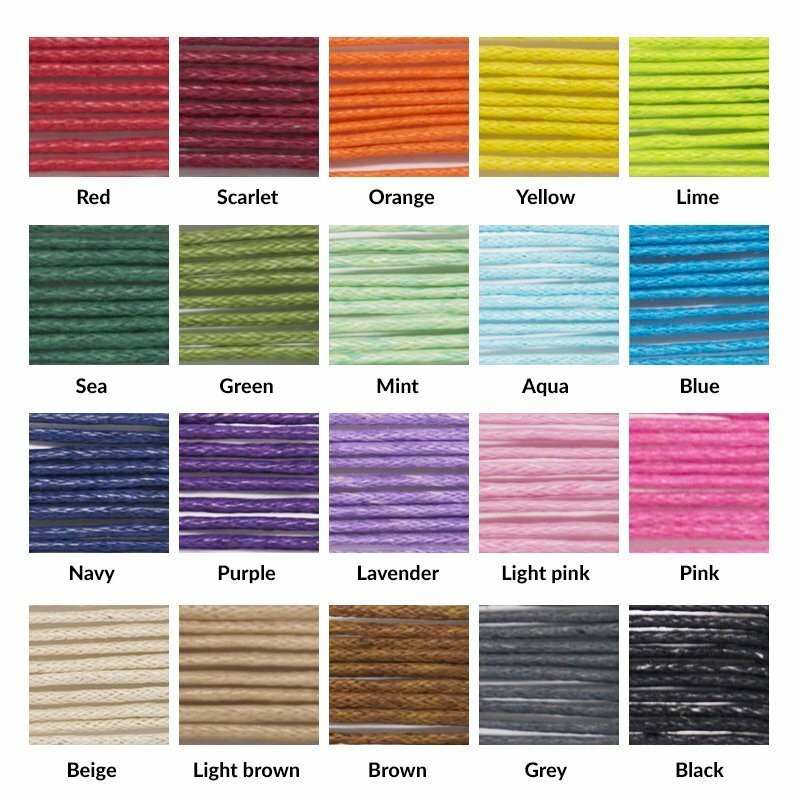 – Each anklet is made from 1mm waxed cotton cord and is available in a variety of colours. 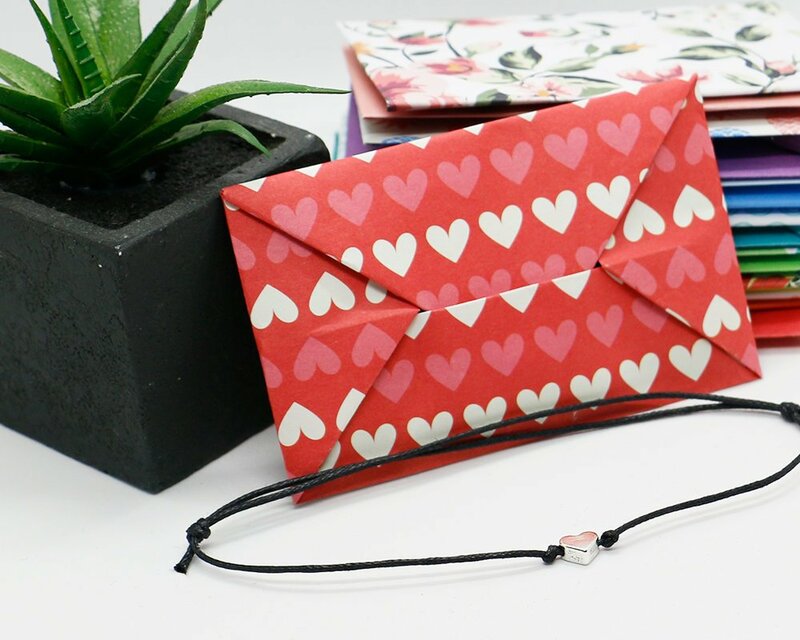 – FREE GIFT WRAPPING – Our anklets are presented in beautiful hand folded origami envelopes ready for gift giving.